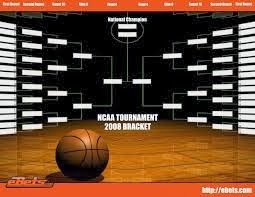 It’s that wonderful time of the year for all college basketball fans. As a former Division 1 basketball player at the University of Vermont (UVM), there is no sporting event I look forward to more than the NCAA March Madness tournament. In addition, on Sunday March 16, the teams will be announced and millions will begin to fill out their bracket sheets in office pools around America. If you participate in one and are tired of losing or never finishing in the top spots, pay close attention. Yes, it’s time to toot my own horn, something I usually don’t do, although in this case, it’s okay as my “Coach K (Duke’s Head Basketball Coach)” excellence comes in the form of a competition not so meaningful (office pool), yet as fun as anything I participate in. I doubt you know anyone who can claim the statistics below in any March Madness office pool. I only participate in one as imagine my results if I competed in several! Keep in mind that there has been an average of 80 people in my New York City office pool since 2003. Yes, that is 5 victories in the last 11 years, which puts me a few levels ahead of Coach K. Also, I came in the top 7 in many of my losing years, yet rarely mention that as I go for all or nothing. I had a dry spell (very surprising to me) after 2008 but came back strong in 2013. Last year, it came down to the combined final score of the game (tie-break) between me and another person. Guess who knew the combined final score averages in the last 20 years of NCAA championship games? Yep, yours truly. My opponent had no idea and had a combined score that posed no threat to me and secured 2nd place for him. How do I do it? Well, many of the basics are in an aforementioned article I wrote years ago which include essentials like picking all higher seeded teams in the first round. The link and a quote are below. E) The first round is crucial even though the points per game are the lowest. Know which teams are likely to upset higher seeds and look at past performance. If your college team is playing, NEVER pick them unless they are a top notch program. My college was in the tournament 3 years in a row and I didn’t pick them even though they upset Syracuse one year. If you don’t know the teams well, picking all higher seeds (only in round 1) will usually give you a good first round score. The fact that I played college basketball helps me immensely, along with studying the college teams/landscape throughout the year. My overall success comes from a formula I came up with for filling out the brackets – something quick and simple to do yet has proven effective. That is the only thing I have not shared as I can’t give away my secret weapon. Nobody likes to lose and if you have never tasted that sweet “thrill of victory” in your office pool, I implore you to read my blog post and learn as much as you can about injuries, what knowledgeable analysts are saying and just as importantly, NEVER showing unwise allegiance to the college you may have attended. I love my UVM Cats, yet have never picked them to get out of the first round, which didn’t hurt me in 2005 (I won that year) when we shocked Syracuse and the world! Wichita State – I’m not saying that they will win it all but look closely at what they did last year, how they performed this year (undefeated) and the history of their point guard. Concentrate on their bracket. Remember, every pick is important. Most of my victories came down to the last game or last combined score. All the best to you this year and I hope you stay away from the March Madness “Agony of Defeat”. I’m planning on winning my office pool once again, even though the road will be difficult as there are plenty of teams who can win the National Championship.